Golf Flyovers has over 40 years experience in information provision and sports publishing techniques. The breadth of experience includes design and production disciplines, research and development techniques, marketing expertise along with administration and support services. Golf course owners and administrators can rely on this long experience in working with golf courses, as well as a full understanding of the golf industry and the needs of golfers. 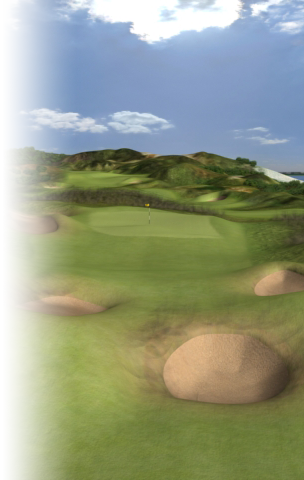 Constructing a 3D Course can be left entirely to Golf Flyovers who carry out all the survey work and organise course photographs, no matter where the course is. Computer technicians produce a Flyover of the first hole in a short time and there is the opportunity to add and amend the style and finish as necessary. The holes can be shown one at a time, or as a finished 9 or 18 hole set, for approval - any combination can be selected to suit requirements. It can take as few as four weeks from start to finish, or for the more detailed presentations, it can take up to eight to ten weeks, depending on the specification. Whatever your needs the Golf Flyovers Team is eager to provide you with the best product to present your course to world. We are based in Dromore, County Down, Northern Ireland and can be contacted at enquiries@golfflyovers.com - whatever the question, we will respond quickly and efficiently. You can also call us on (#44) (0)28 9269 3499. (10am - 4pm GMT).